You have weight loss goals. We have solutions. The Shape*ology Program for Weight Loss, Scottsdale AZ, is for people who want to achieve significant weight loss and are ready to adopt a new, healthy lifestyle to keep the weight off for good. At Shape*ology, we understand that every person’s weight loss journey is a little bit different. Losing weight is challenging, and the best results come from solutions that are designed to meet your needs. As an alternative to traditional weight loss surgeries, Dr. Kazi offers reversible treatment options for people with a BMI between 30 and 55 looking to achieve weight loss in Scottsdale, AZ and surrounding areas. The procedures are performed on an outpatient basis which means you’ll spend less time worrying about recovery and more time enjoying a comfortable, healthy lifestyle. At Shape*ology, we prioritize patient safety and comfort. Shape*ology offers a different approach to weight loss Scottsdale solutions. We help patients get a jump-start on their weight loss program with safe and easy non-surgical procedures. We understand that the most important part of any weight loss program is finding a solution that will keep the weight off for good. That’s why Shape*ology provides personalized health coaching and support to ensure that you can maintain and improve your weight loss long after the treatment. Success rates of weight loss Scottsdale programs are much higher with the help of an aftercare program. Tools that aid in long-term weight loss success include a personal journal, healthy recipes, progress and diet trackers, and meal planning. You can also link your Fitbit® wireless scale and activity tracker to integrate all your weight loss data in one place. 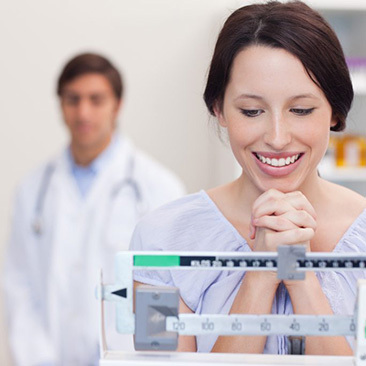 Your weight loss Scottsdale journey begins with a personalized evaluation. You’ll start receiving the education you need to prepare you for success. Dr. Kazi offers a number of reversible treatment options for people with a BMI between 30 and 55. Because every person’s weight loss journey is unique, we find the procedure that’s right for you and incorporate personalized health coaching to keep you focused on healthy eating, exercise and lifestyle habits to maximize your success. Post-procedure, you’ll continue receiving support to help you achieve and maintain your optimal weight along with a healthy lifestyle that will encourage a lifetime of healthy living. This includes the revolutionary Virtual Health Partners, an essential resource that will support your long-term success. During regular monthly appointments, your team will help you set goals and track your progress. We are there for you when you need help, with tools and insights to get you on the right track. We hold you accountable. We celebrate your success. And with our support, you will develop healthy weight management skills to sustain and continue your success. At Shape*ology, you’ve got the support of professionals who can help make healthy eating, fitness, and lifestyle habits a permanent part of your life. This personalized approach takes your schedule, habits, and needs into account to help you create a healthy lifestyle that works for you.